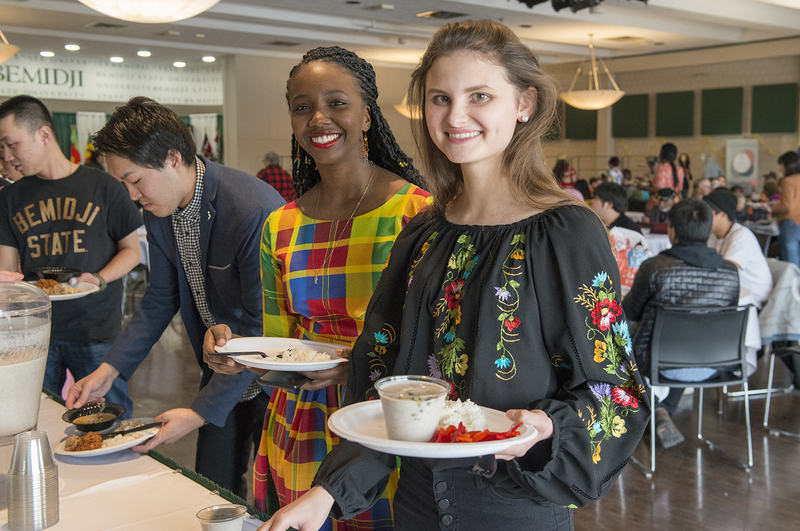 Attendees enjoyed a meal featuring food from across the globe. 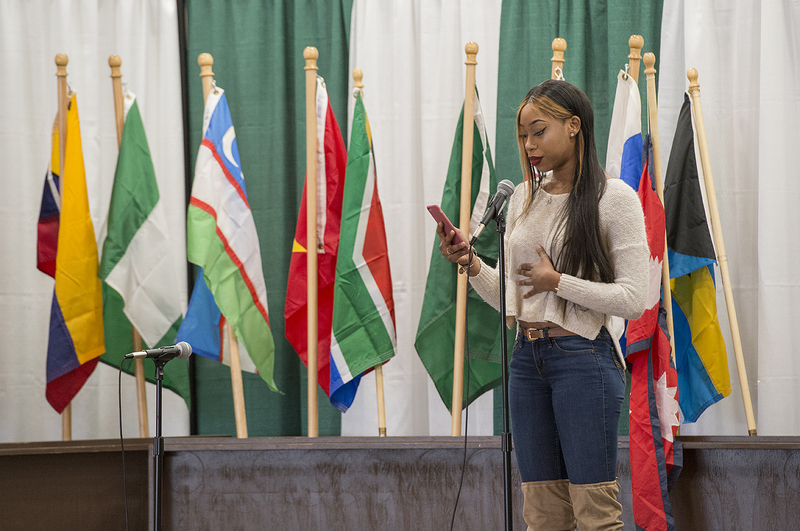 Students performed various song, dance and spoken word performances to celebrate the cultural heritage of the university’s diverse student body. 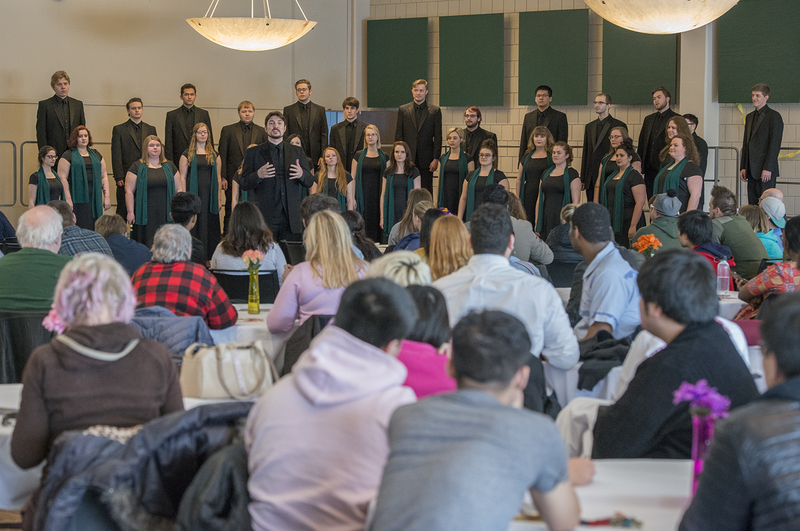 The Bemidji State University Choir performed at the celebration. 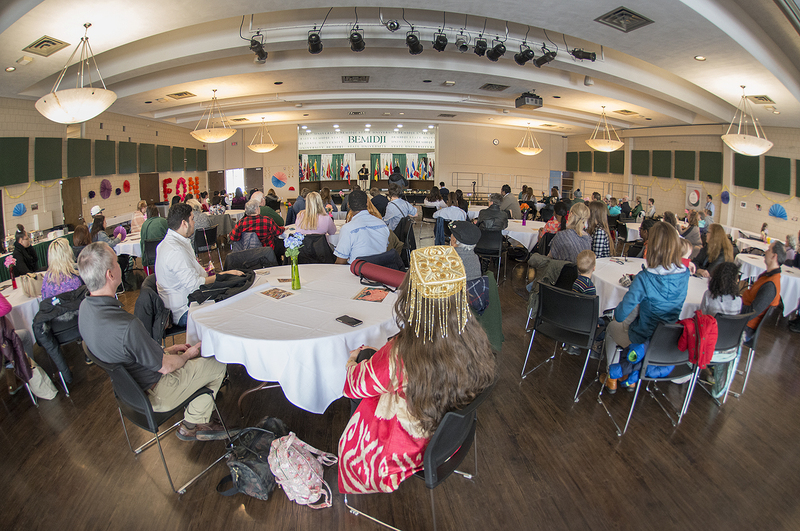 Dr. Ye “Solar” Hong, coordinator for the Center for Diversity, Equity and Inclusion, welcomed attendees to the event. 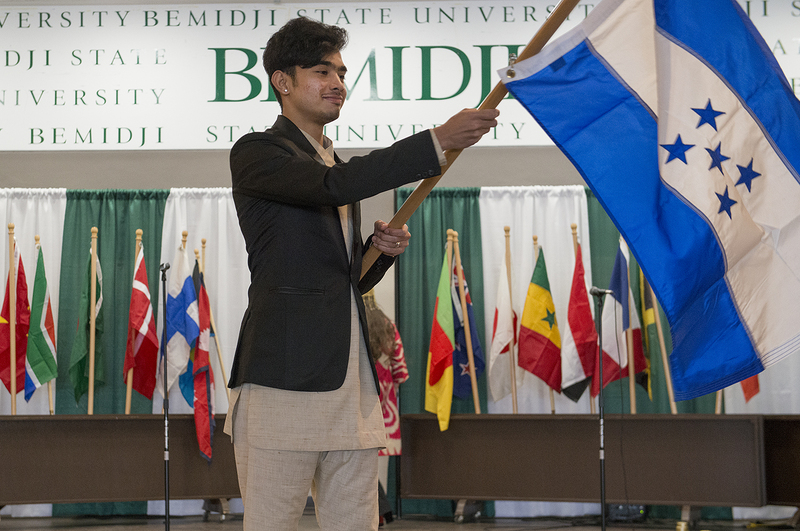 During a flag processional, students highlighted their home countries. Attendees filled the Beaux Arts Ballroom on BSU’s campus. 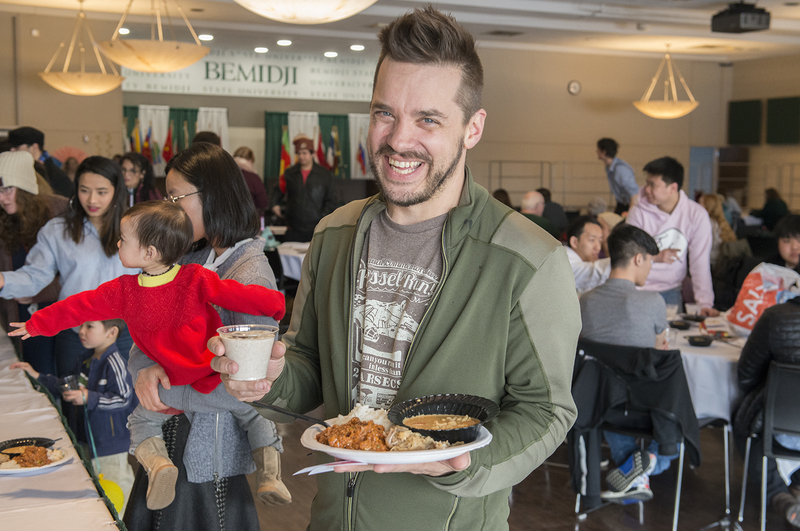 Mitch Blessing, assistant professor of technology, art and design, enjoying a meal featuring foods from across the globe. Attendees of all ages celebrated the diversity of BSU’s student body. 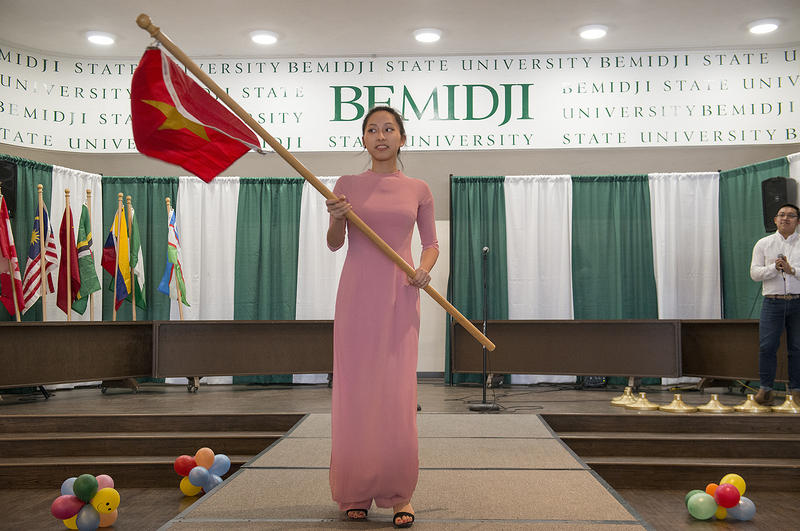 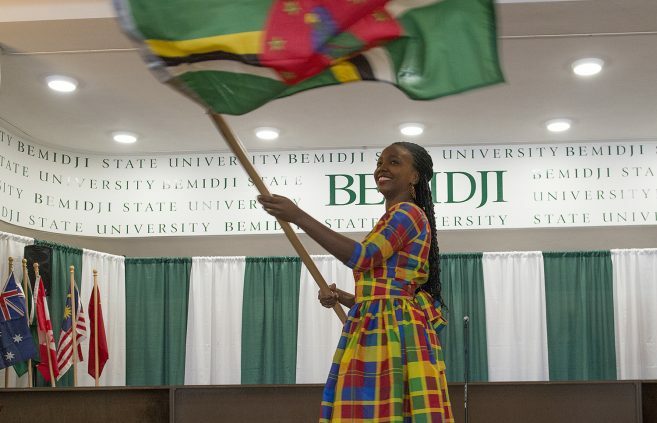 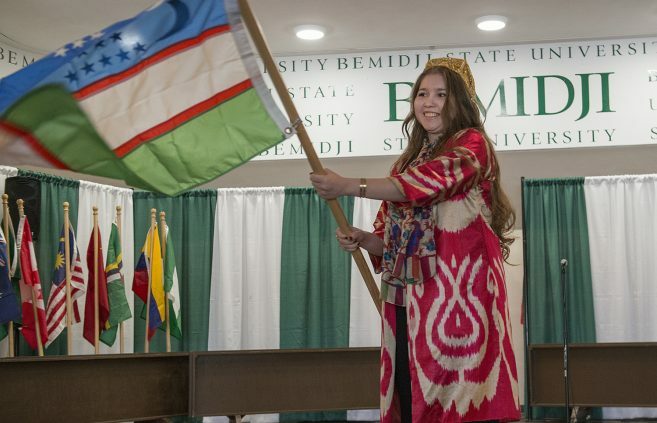 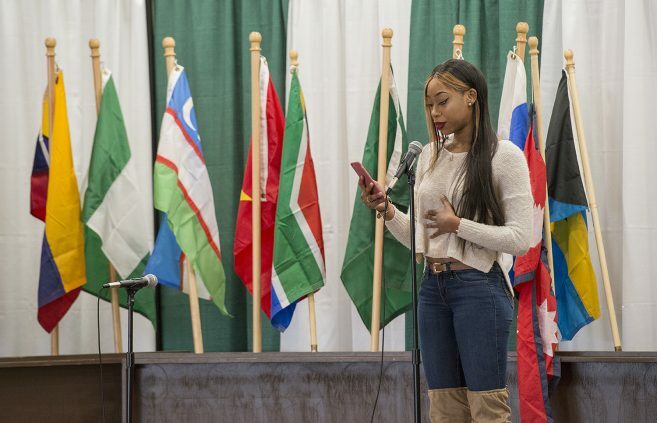 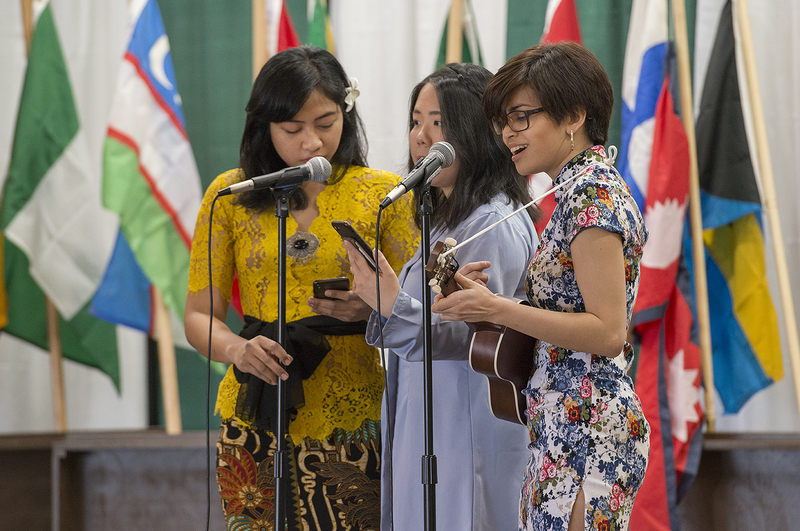 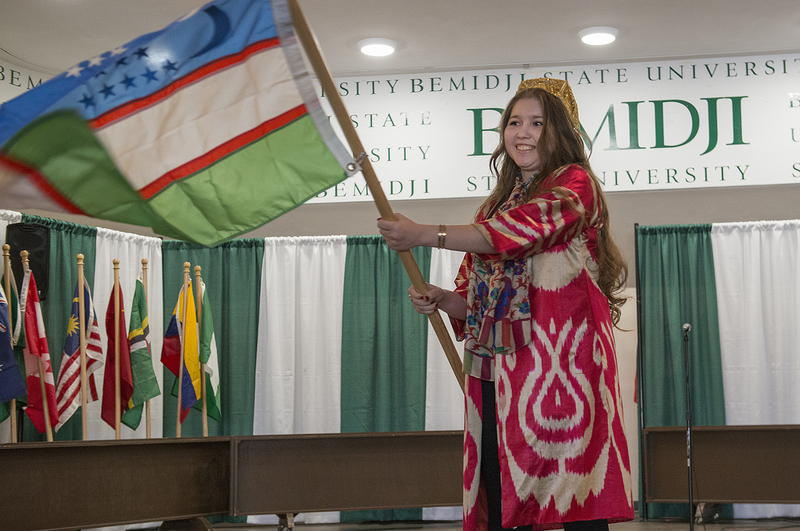 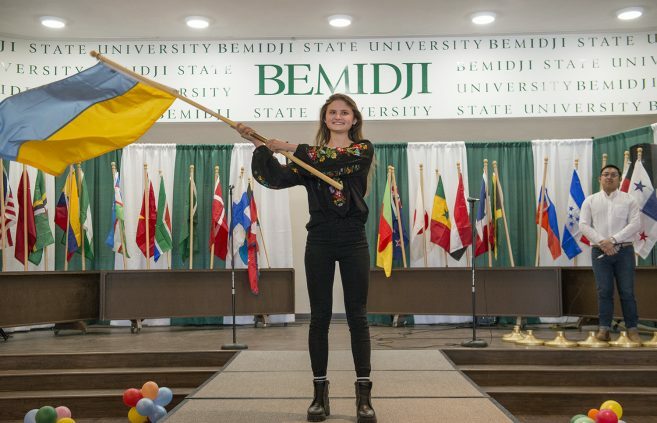 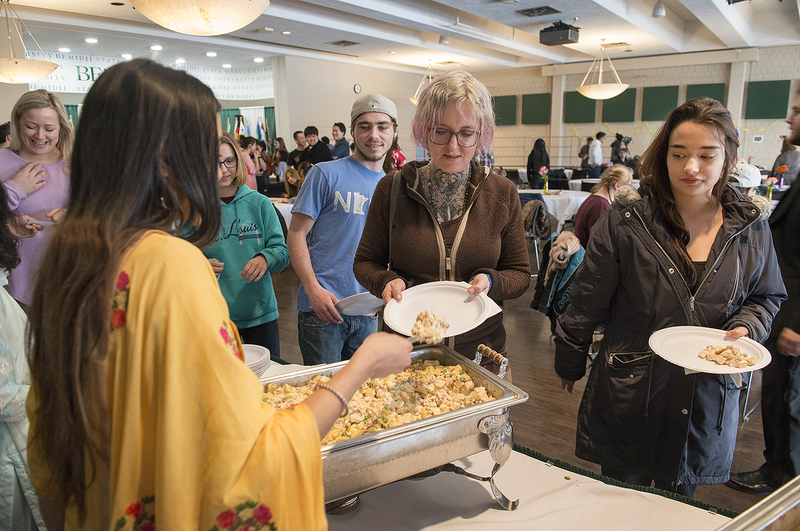 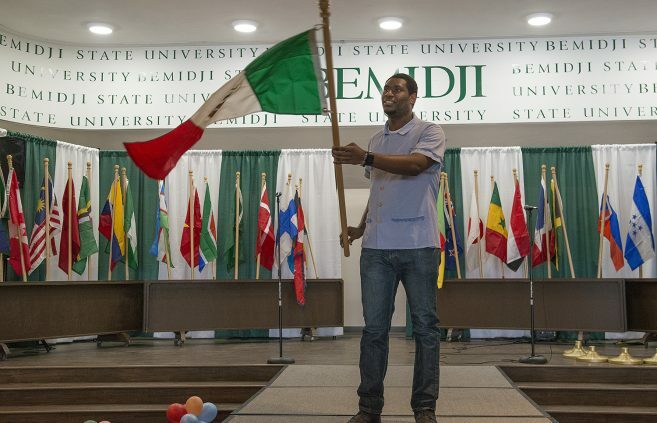 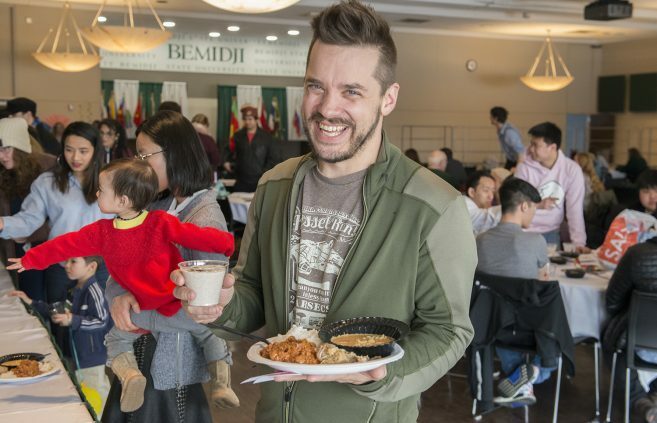 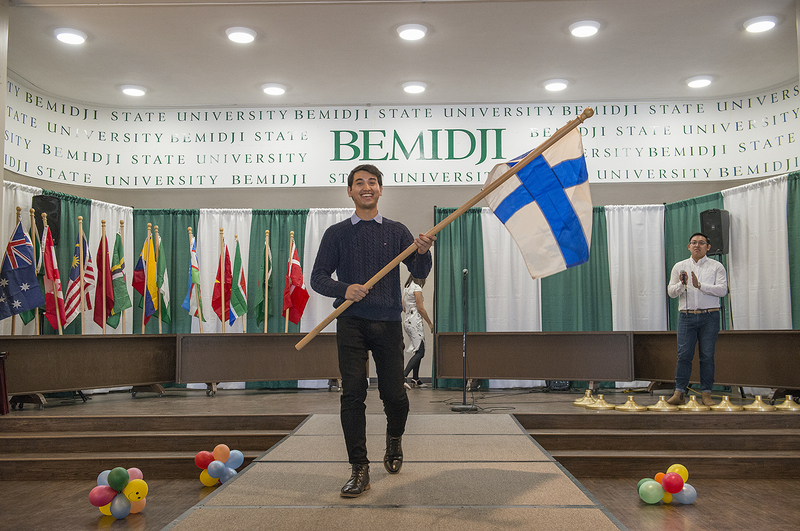 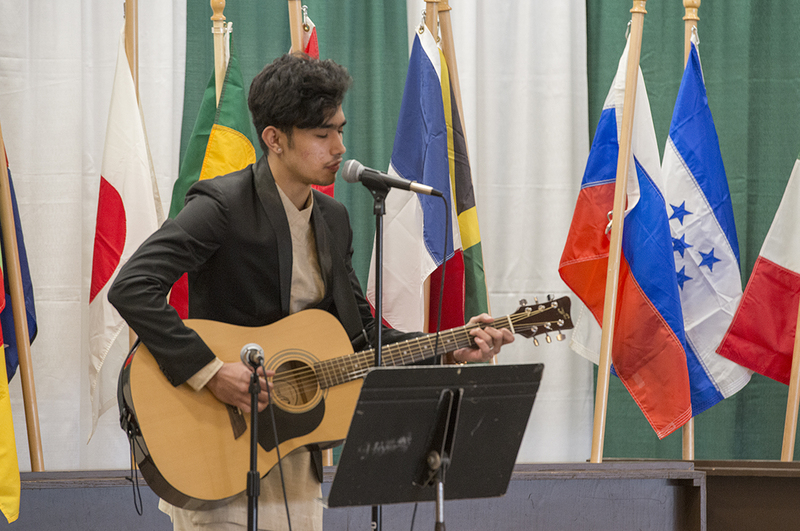 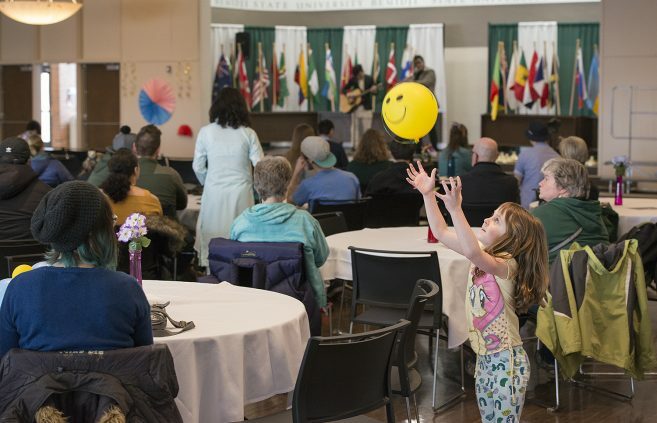 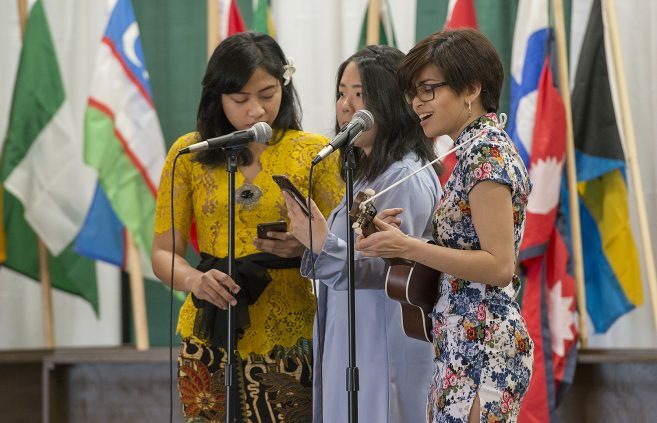 Bemidji State University’s international students celebrated the traditions and cultures of their home countries at the 50th Annual Festival of Nations held on April 12. 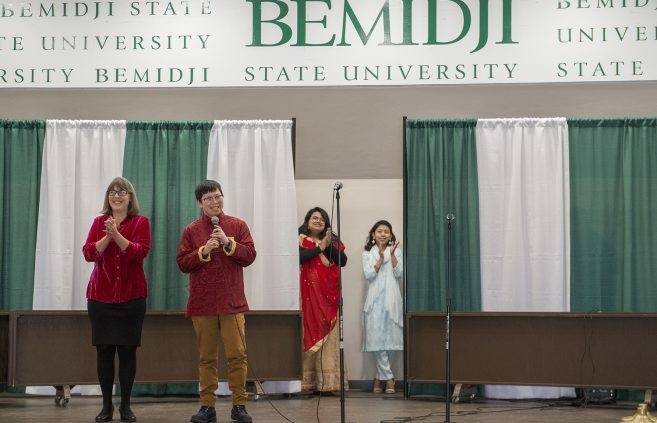 The festival, with its theme of “We All Smile in The Same Language,” is Bemidji State longest-running multicultural festival. 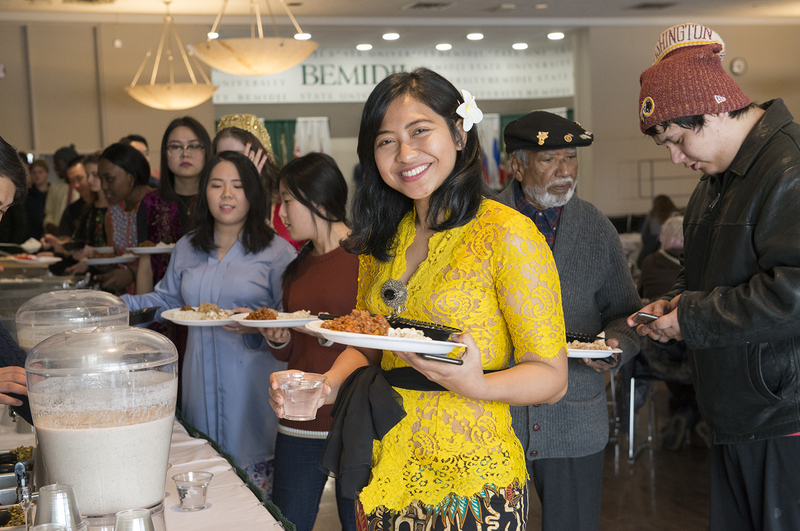 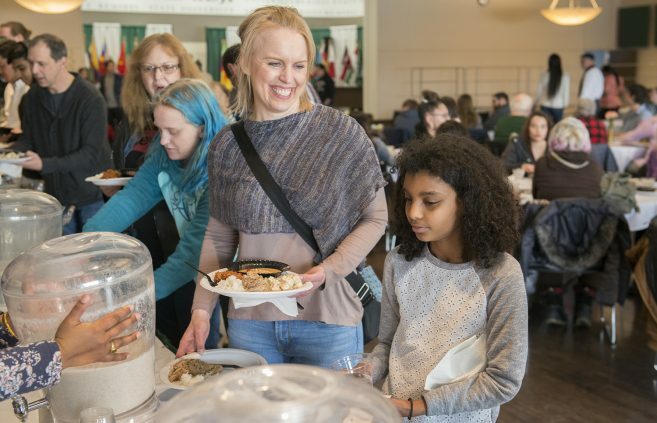 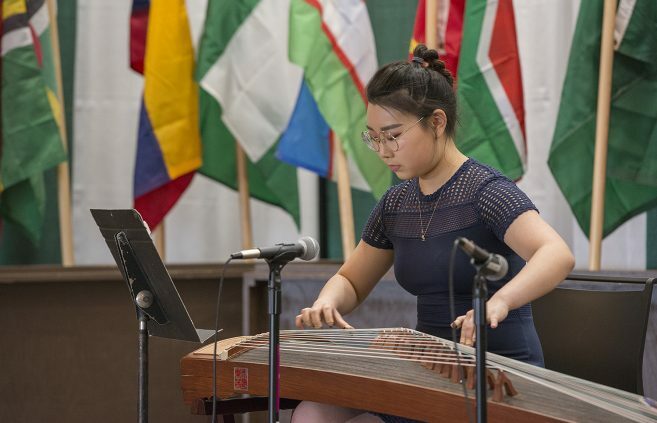 The event highlighted the cultural heritage of the university’s diverse student body and gave students, employees and community members a platform to express their stories through multicultural performances, ethnic foods and personal connections. 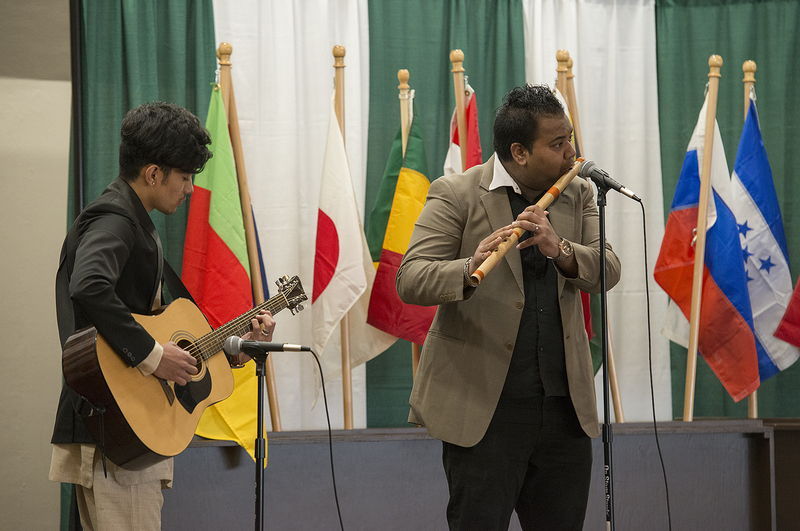 The event kicked off with a flag processional and welcome followed by various song, dance and spoken word performances and presentations. “Many students perform in this event which includes singing, dancing, speech, poem, and other cultural activities. 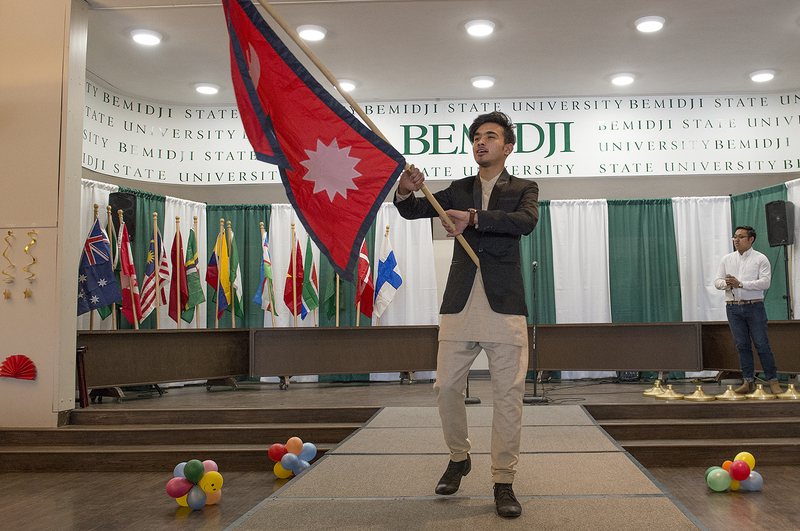 It is so good to learn more about other countries culture and how the people are through this event,” Sarvika Shetty, president of BSU’s International Students Organization, said. The Festival of Nations is sponsored by BSU’s International Student Organization, Students United, the Center for Diversity, Equity & Inclusion and the International Program Center.